In the wake of Brexit and the election of Donald Trump, countless words have been written and uttered about nationalism-many accusing nationalists of racism, hatred, and violence. But nationalism wasn’t always considered evil. Indeed, such venerated figures as John Stuart Mill, Churchill, Eisenhower, and Ben-Gurion considered themselves nationalists. Were the men and women of that era misguided in their emphasis on self-determination for all peoples? 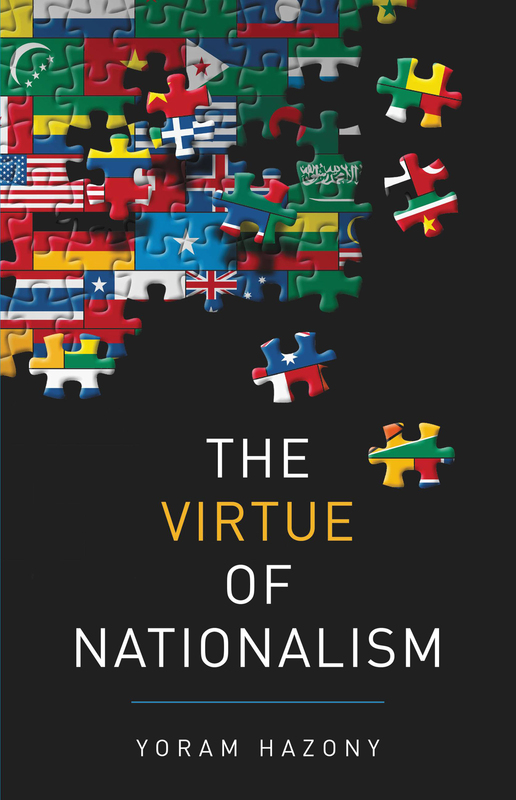 In The Virtue of Nationalism, the philosopher Yoram Hazony offers an incisively original case for national sovereignty in an era when it is under attack from many sides. He recounts how in the 17th and 18th centuries, English, Dutch, and American Protestants revived the Old Testament’s love of national independence, and how their nationalism freed the world from the vision of universal empire promoted by German-Catholic Holy Roman Emperors. Their vision became the basis of opposition to imperialists of later eras, and eventually brought freedom to peoples from Poland to India, and from Israel to Ethiopia. But since the 1960s, the tide has turned against national independence. “Globalists” say that self-determination brought us two World Wars and the Holocaust. The answer they offer us-global governance-is well-intentioned. Yet it has reawakened hatreds, stoking chaos and revolt across the world. Hazony argues that we will be forced to choose between a world of independent states, or a renewal of universal empire-in the form of the European Union or American hegemony. The Virtue of Nationalism makes clear that anyone who values their freedoms should fight for a world of nations. Feel free to post your The Virtue of Nationalism-P2P torrent, subtitles, samples, free download, quality, NFO, rapidshare, depositfiles, uploaded.net, rapidgator, filefactory, netload, crack, serial, keygen, requirements or whatever-related comments here. Don't be rude (permban), use only English, don't go offtopic and read FAQ before asking a question. Owners of this website aren't responsible for content of comments.